The Stride Free Saddle Concept: I’m A Fan! Does Equi-Ice Spook Your Horse? Does The Horse Shake Off Equi-Ice Packs? To stretch this muscle you also need to look after yourself. Horses weigh a lot and some will not always weight bare the rest of themselves during the stretch so you need to make it the most comfiest and safest for yourself. 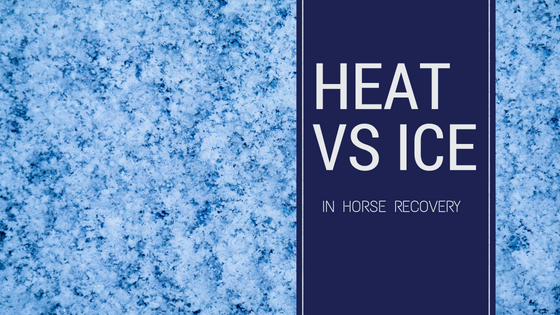 When Should You Use Ice For Horse Recovery? Why Do Athletes Use Ice For Recovery? In 2013, Cristiano Ronaldo, the Real Madrid star revealed he has had his own ‘ice-box’ Cryotherapy chamber fitted in his home. He takes two three-minute sessions a week and credits this to taking his already incredible strength and fitness to another level. So why do athletes use cryotherapy for recovery? Cooling down your horse quickly after strenuous exercise is so important for it’s recovery and health, and no-one knows this more than Jade Findlay, equestrian and eventing specialist. At the recent Melbourne International 3 Day Event, Jade used Equi-Ice after her cross-country event to cool down her mare.